Apple is offering its 32 inch Sharp 4K display in its European online store. It is not yet known why Apple has decided to not offer this in American stores yet. Apple has started offering its 32 inch Sharp 4K Ultra HD LED monitor in its European stores. 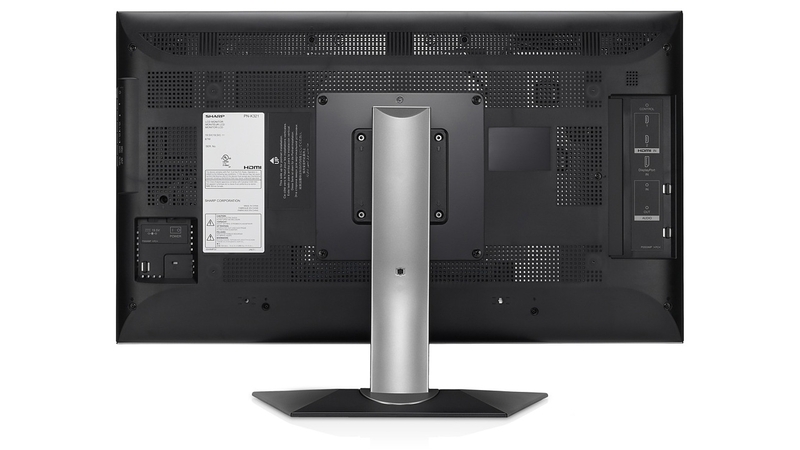 The Sharp 4K monitor sells at £3,499.00 (approximately $5,700) and has been reportedly on the store since November 30. This 32 inch IGZO Sharp 4K Ultra HD monitor has a resolution of 3840 x 2160 and offers 1.07 billion color palette with and 800:1 contrast ratio. This comes after Apple’s recent announcement of Mac Pro launch; the upcoming Mac Pro will support up to three 4K displays. As reported earlier, Mac Pro might be available from December 16 (according to a German authorized reseller). There has also been a rumor of Apple preparing its own 4K displays. This speculation came up when a new lot of display panels appeared on AUO signalling a possible launch of Apple’s Thunderbolt displays. Apple’s 32″ Sharp 4k monitor comes with a DisplayPort support but without any support for Mini DisplayPort adapter. This super-high resolution display allows you to view the content of four full HD screens on a single seamless display. It also features IGZO technology, which supports increased pixel transparency and reduced current leakage, thereby making the monitor more energy efficient.